This weighty tome has been a labour of love for Gubisch. 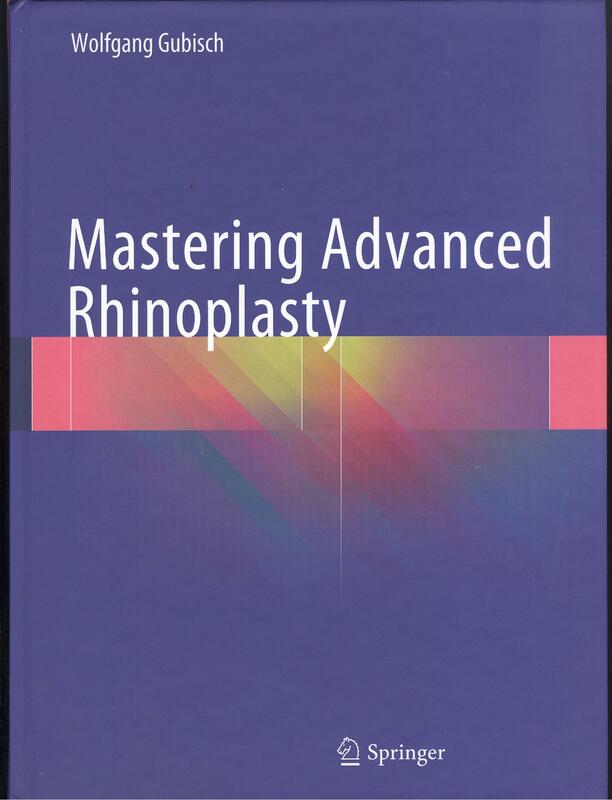 At 938 pages, this is one of the most comprehensive, current texts regarding rhinoplasty. Refreshingly well-structured, this book takes us on a journey from septoplasty, to rhinoplasty and through to the important problems and solutions of the dorsum, osteotomies, tip, malformations, and complex revisions, systematically and thoroughly. Septoplasty is covered thoroughly in some 100 pages, though a little thin solely on the detail of endoscopic approaches and the management of septal perforations. Solutions to functional aspects of rhinoplasty, primary and secondary, follow, concentrating on spreader, batten and lat- eral crural strut grafts. More recent trends towards auto sprea- ders and auto lateral crural steal and strut grafts are not covered in this section. Coverage of turbinate reduction, currently undergoing a renaissance in ENT circles, is briefly confined to one page. Grubisch then takes us through the detailed problems and solutions of the nasal dorsum, in 259 pages. He takes us logically through dorsal reduction, its correction and augmentation. Using a variety of modern, clever techniques, the work only lacks detail of ultrasonic or Piezotome rhinoplasty. Osteotomies are, equally, covered in some detail, followed by 274 pages on tip refinement, which I would surmise is Grubisch’s private passion. The series of beautifully documented case studies covers contour, projection, rotation and reconstruction of the lower framework. Finally, malformations and complex revisions are covered, though sadly nasal reconstruction using the paramedian forehead flap is not discussed. The closing chapter covers schematic illustrations for rhinoplasty, including the Bergamo 3D Rhinoplasty software, for both documentation and teaching, but not three-dimensional image capture, analysis or morphing. This vast and comprehensive text is primarily technique-focused, providing modern and accepted solutions to an array of functional or aesthetic problems, by way of case studies. By being so well structured, this book allows the reader easy access to a variety of technical solutions to problems they may encounter in their day-to-day practice. The most challenging aspect of producing a useful text with regard to rhinoplasty is the way in which the author is able to convey techniques to the reader: a careful interplay between descriptive text, photography and diagrams. Although, on the whole, the book lacks some diagrammatic representation, what Grubisch has managed to achieve is a startlingly good balance, with precision and consistent quality in all the photo- graphs that accompany his text. Grubisch has produced a reference text of practical significance.